We have received multiple offers on this home and are asking for highest and best by 5:00pm April 5, 2018. This is your lucky day! 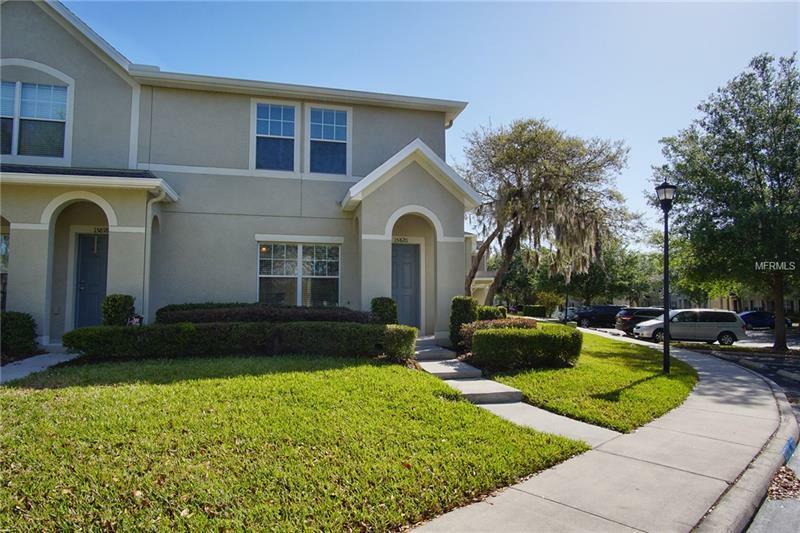 A true 3bd/2.5ba in the gated maintenance free community of Fishhawk Ridge does not come along very often. This end unit St.Croix model has a lot to offer. Filled with natural sunlite with tile flooring that flows throughout the main floor. The kitchen features abundant 42' cabinets, lots of counter space, a center island, stainless appliances and breakfast bar, a spacious eat in area flanked by sliders that lead out to the back patio. The great room is large and gives you many options for arranging furniture. The stairs and upstairs hallway feature wood laminate flooring, new carpet in all bedrooms, master suite with trey ceiling, walk in closet, dual sinks, garden tub and separate shower. The washer and dryer are conveniently located upstairs and the home has been freshly painted both inside and out. Located in highly desirable Fish Hawk with great schools and amenites. The owners in Fishhawk Ridge have their own private pool along with access to all of the amenities in Fishhawk Ranch and Starling: pools, fitness centers, tennis courts, parks/playgrounds, game room and more. Come and see it today, but hurry!! Copyright © 2019 Mid Florida MLS. All rights reserved. The data relating to real estate for sale on this web site comes in part from the Internet Data Exchange Program of Mid Florida MLS. Information provided is for consumer's personal, non-commercial use and may not be used for any purpose other than to identify prospective properties consumers may be interested in purchasing. Coldwell Banker Residential Real Estate participates in the MFRMLS Internet Data Exchange (IDX) program, allowing display of other MFRMLS broker's listings on this site. However may not include all listings currently available. Information is deemed reliable but not guaranteed. Information last updated at 2019-04-23 18:45:11.